“Camila,” Camila Cabello’s first solo album, won’t disappoint long-adoring fans or new listeners. After the success of her hit single “Havana,” Camila Cabello’s highly anticipated solo album has arrived. “Camila,” released on Jan. 12, marks the start of Cabello’s career as a solo artist following her departure from “X Factor”-formed girl group Fifth Harmony. The 20-year-old Cuban American pop singer is trying to do what many have failed at: establishing a successful post-band solo career. Artists like Beyoncé and Justin Timberlake have accomplished this feat, but it may be too soon to tell if Cabello can. Cabello’s 10-track effort follows in the synth-pop tradition of Fifth Harmony, but is more understated than typical mainstream pop. Rarely using the powerful vocals Fifth Harmony fans are used to, Cabello pleasantly surprises by shying away from in-your-face, rapturous pop. Simple instrumentation allows for her voice to be the star — a star that doesn’t need to be bombastic to be intriguing. Breathy, raspy vocals are recurrent throughout, particularly when background “oohs” and “ahs” populate her lyrics. 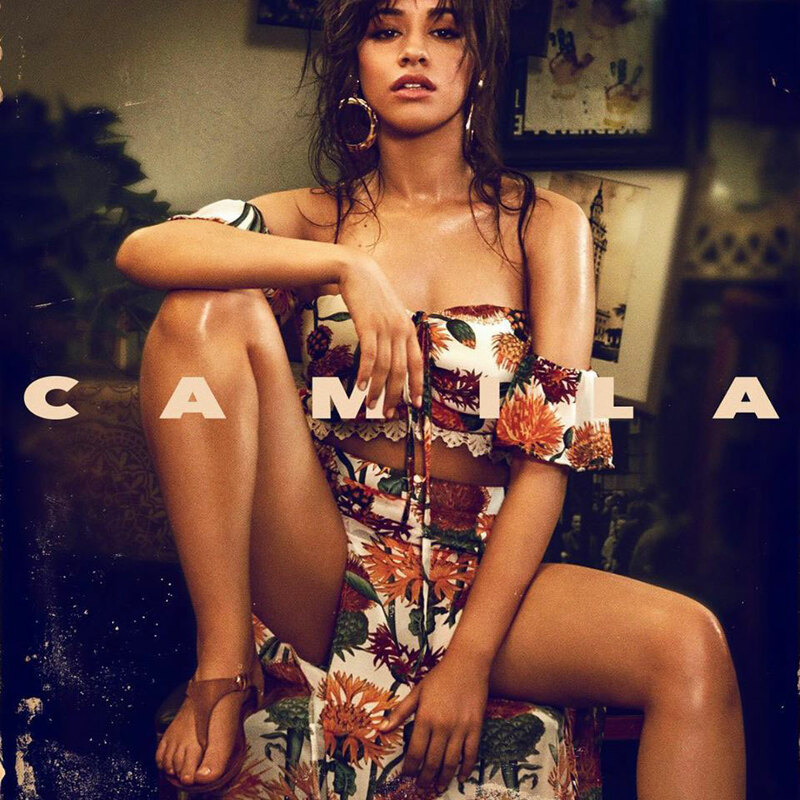 Employing impressive restraint, her vibratos and runs are showcased in a delicate and pure way, especially on the track “All These Years.” On this album, a more reserved Cabello finds herself navigating the tricky worlds of dating, desire and friendship as a young adult. “Camila” opens with “Never Be The Same,” which is fitting considering how this body of work is sort of her reintroduction to Fifth Harmony fans and a first impression for everyone else. A slow build of beaming synth chords blooms into a boisterous, bass-backed chorus with Cabello proclaiming she’s so into someone that she feels like she’s under the influence of drugs. Two tracks later, “She Loves Control” is a declarative, Latin pop-inspired number with Reggaeton-esque flavor. Cabello sings over the slinky rhythm, “She loves control, she wants it her way / And there’s no way she’ll ever stay unless you give it up,” with an assertiveness that’s single-worthy. But it’s her hit single “Havana” that has dominated the charts and can be used as a lyrical template for the album. “Havana, ooh na-na / Half of my heart is in Havana, ooh na-na / He took me back to East Atlanta, na-na-na, ah / Oh, but my heart is in Havana,” are the repetitive, stick-in-your-head lyrics everyone around you has been singing. The common thread of “Camila” reverberates on “Inside Out,” the album’s fifth track. It’s essentially as wide as Cabello’s lyrical scope goes, with a chorus repeating “Baby, give it to me, no doubt / ‘Cause I wanna love you inside out / I wanna love you inside out.” Coupled with instrumentation only slightly different from the works of artists like Selena Gomez and Katy Perry, the album’s foundations could use some creativity. While the first half of the album is made up of road trip jams, after track six, “Consequences,” Cabello’s quieter side comes out on synth, electric guitar and piano-driven ballads. This is when Cabello puts her strongest material on display. “Consequences” is an honest and raw piece of contemporary pop which lays out the ugly aftermath of a breakup. She admits to not eating, developing trust issues and seeking attention in other people’s beds, as the price paid for a love gone awry. Cabello has a lot at stake on her debut album. She’s not yet at the status of the best band-members-turned-soloists, but she played her cards right by leaving Fifth Harmony. On the whole, Cabello has left room for improvement, but she simply needs to reflect on what she truly wants to sound like. When she shines, as heard on “She Loves Control” and “Real Friends,” she proves there’s a reason to pay attention to her next moves. When she sticks to cookie-cutter lyrics and generic production, it muddies her unique voice. The rebirth of her career hangs on this compilation of mostly solid pop songs that are everything today’s music audience wants to hear — but it’s unclear whether it will translate to a successful future solo career.